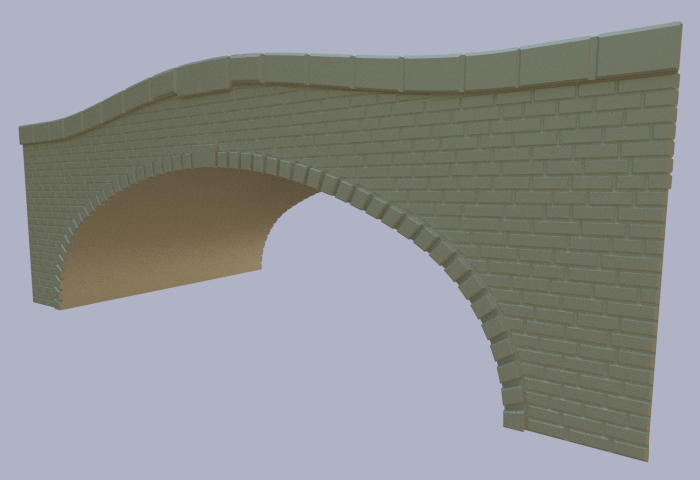 I put the basket arch addon discussed earlier to good use for a personal project, a H0 scale stone bridge to be used on my model train layout. It is already good to print (which I verified first with the 3D printing tools and then by uploading it to Shapeways) but it needs some tweaking, mainly in the form of randomizing the stones. Maybe I'll add some kind of ornament to the cap stone.